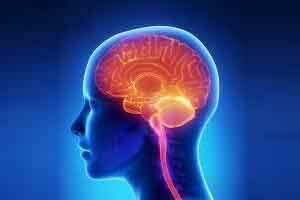 Concussion in teenagers increases the risk of multiple sclerosis (MS) in later life. However, there is no association with MS for concussion in younger children. This was reported by a new study, led by Scott Montgomery, Professor at Örebro University in Sweden. The results demonstrate how important it is to protect teenagers from head injuries. “Bicycle helmets is one way, and we should consider head injury risk in sports played by adolescents,” says Scott Montgomery. The study was published in the Annals of Neurology and it comes from a collaborative study between Örebro University and Karolinska Institutet, which showed concussion in adolescence increased the risk of MS in later life by 22 per cent for one concussion, and teenagers who experienced two or more concussions were at more than a doubled risk of MS — 133 per cent. “MS is caused by a combination of genetic susceptibility and environmental exposures. Most of the young people who experience a head trauma should not worry as they will not carry the necessary genes and other risks that will result in MS in later life,” says Scott Montgomery. “We think that concussion among adolescents can indicate the processes that cause the body’s immune system to attack the insulating layer of nerve cells which, over time, prevents them from functioning correctly,” says Scott Montgomery. “The rapidly developing brain in earlier childhood may be more able to avoid some delayed consequences of trauma than in later teenage years,” explains Scott Montgomery. “Teenagers often take risks, like cycling without a helmet. If they knew about the possible long-term consequences, they might think again; perhaps they wouldn’t think it’s so cool to ride without a helmet,” he says. Multiple sclerosis (MS) is a disease that usually develops over time, where the body’s immune system attacks parts of the central nervous system. MS is caused by a combination of genetic susceptibility and other factors that are incompletely identified. This new study demonstrates that concussion in adolescence is a risk factor.